Being pregnant in one of the hottest summers recorded is no fun. 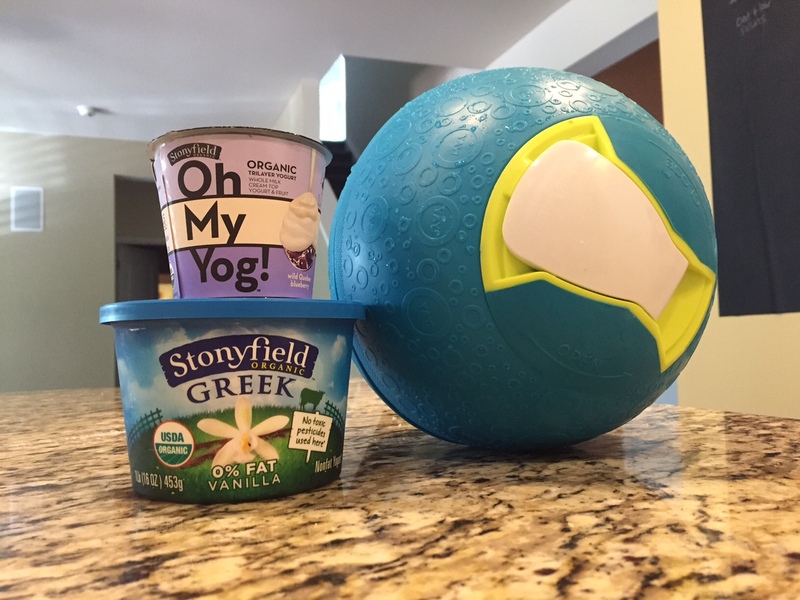 I’m always looking for ways to cool down, so when Stonyfield introduced us to YayLabs Soft Shell Ice Cream Ball, I was super excited. 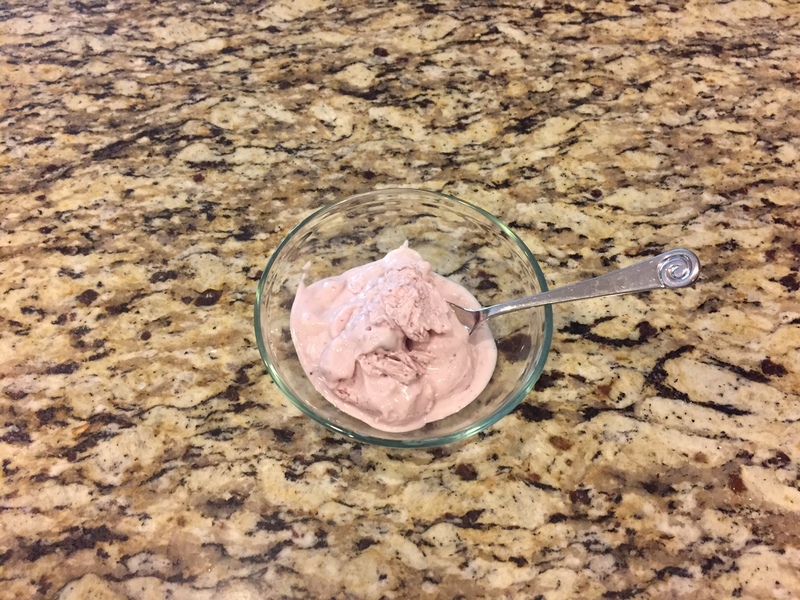 We have an electric ice cream maker, but it can be a pain to make ice cream or non-dairy ice cream for the kids. What I LOVE about YayLabs Soft Shell Ice Cream Ball is that all you have to do is add yogurt, shake the ball around for 10-15 minutes and you have frozen soft serve yogurt. 0 prep work and no cooking required! 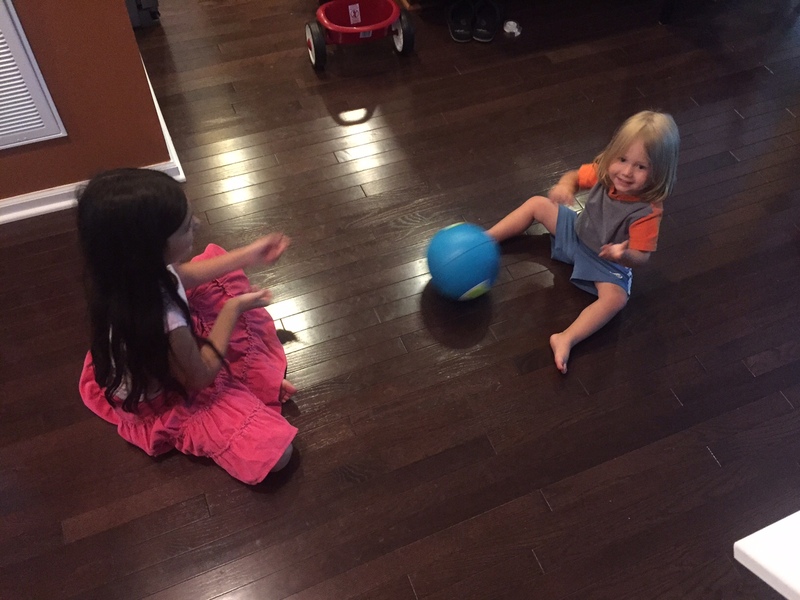 Plus the kids love passing the ball back and forth- so it is really a win win. You do need rock salt for the YayLabs Soft Shell Ice Cream Ball which was hard to find in our area for some reason. Luckily I found a bunch on Amazon reasonably priced. 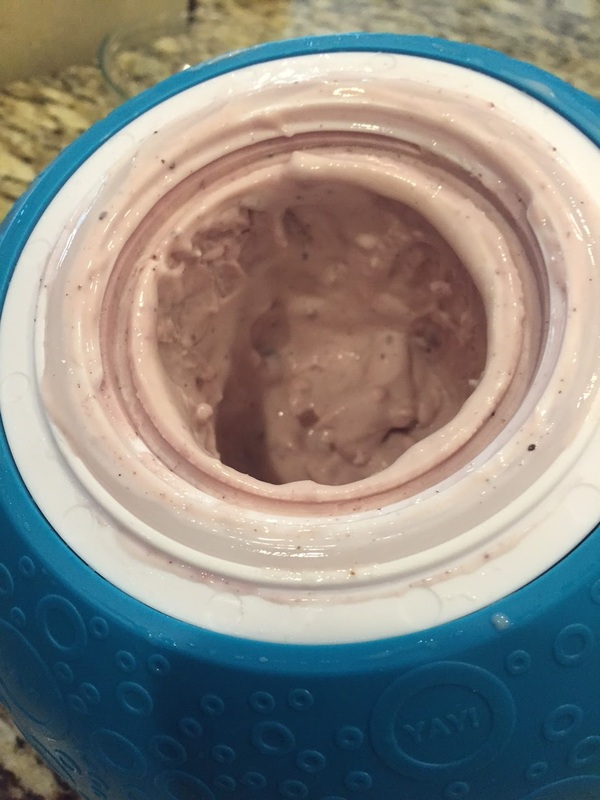 Our first try, the kids tried O’Soy yogurt for their frozen treat. After 10 minutes of rolling, the yogurt was still a little thick, so they did it for another 5 minutes. Then it was stuck to the sides, so they had to let defrost for 10 minutes. I decided to try mine with Stonyfield Vanilla Greek Yogurt mixed with Oh My Yog. And OMY! It did stick to the sides some like the kids, but not as bad. I like soft serve style, so this was perfect! The flavor was delicious and rich. I can’t wait to try other Oh My Yog flavors with it and might do a combo with less Vanilla Greek. *I am part of the Stonyfield YoGetters group of bloggers and receive compensation and products as part of the program. My opinion is not influenced in any way.